If your home is as little as 5 to 10 years old, you likely have one of the 46 million under-insulated homes in the US, according to the Harvard University School of Public Health. Overall, heating and cooling account for 50%-70% of the energy used in the average home, as noted by the Department of Energy. The leading causes for energy loss in a typical home are not enough insulation and too much air leakage. A properly insulated home will reduce the chance of heat loss and can also help stop the creation of ice dams. One of the lowest cost options for improving the energy efficiency of your home is insulation and DunRite can start your way onto energy savings. 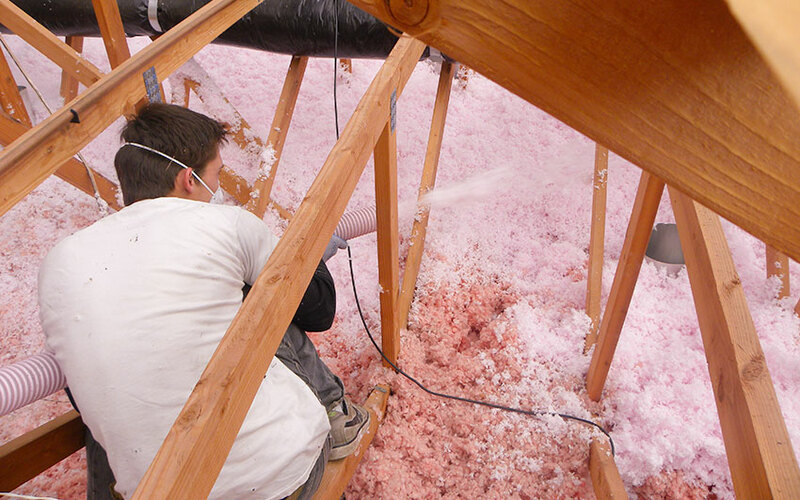 The use of the correct levels of insulation in the attic area will typically give you the best savings, but it depends on your particular home. Insulation pays off quickly and keeps paying off with better comfort and energy savings for as long as you own your home. Heat – Heat from the building’s interior rises to cause the melt, poorly insulated building are most prone to this problem. Cold – Melted snow refreezes the melted snow into solid ice. Once snow and ice build up on the roof it is difficult to remove. There are many DIY methods to removing ice dams, however each of these comes with risk of personal injury and or property damage. Our advice is to hire a licensed roofing contractor to manage the leak immediately and complete repairs and take preventative measures after the snow has melted; assess your ventilation, insulation and “hot spots” in the roof. Material that fully seals the roof can be added to prevent leaking caused by ice dams in leak prone areas. 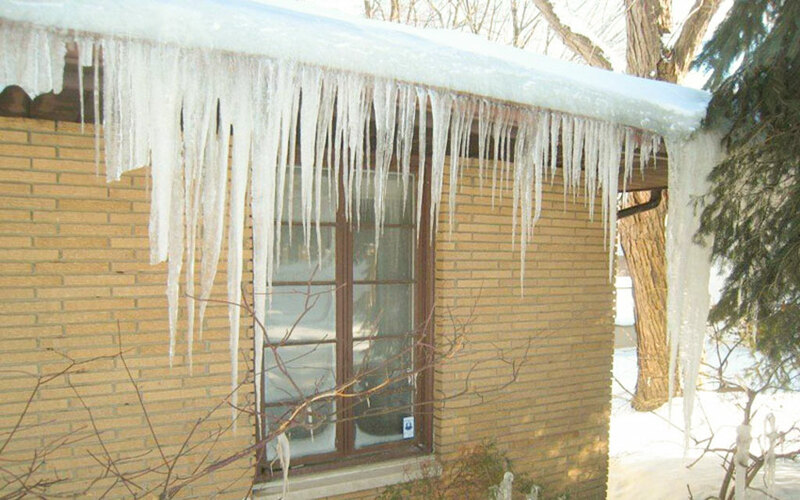 DunRite can help you deal with existing ice dams and create a prevention plan for the future.